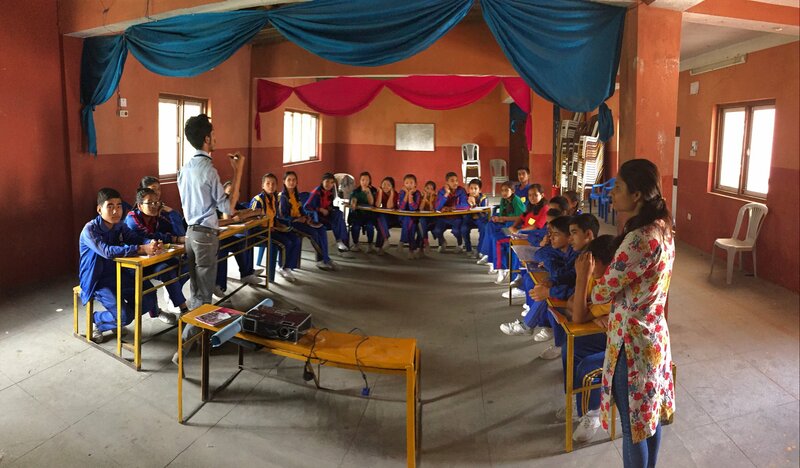 This has been a busy year with our focus returning to core activities – notably the Youth Scholars Program and continuing our partnership with a local NGO ‘Sahaayam Nepal’ to deliver health education classes in northern Kathmandu. 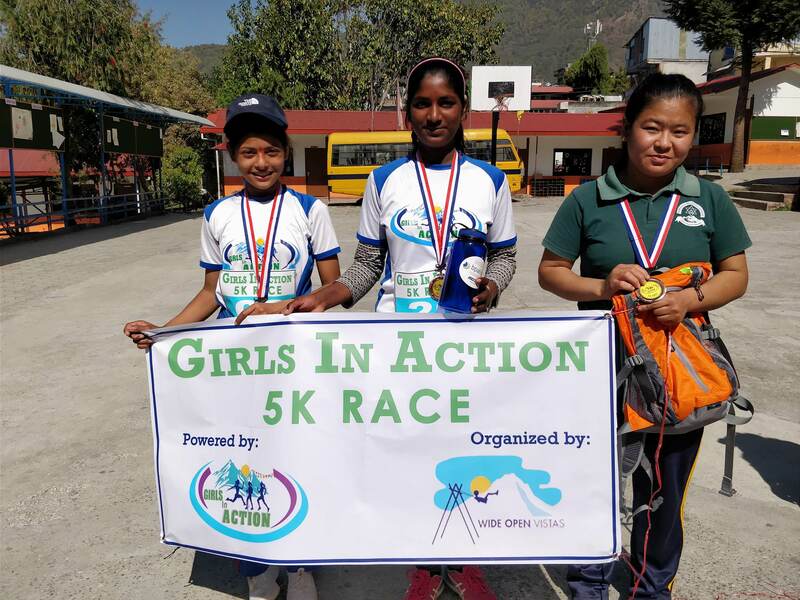 Sudeep and Nikita worked as paid staff through the first half of the year, helping deliver components of the Girls In Action program including hikes, runs, lunches, and also the health education classes. All of these are detailed below. However – we found that we could not sustain all of the programming efforts given a significant drop in donations following fundraising in 2015 due to the earthquake, and 2017 due to a special fundraiser, that was difficult to repeat. In our Quarter II board meeting we decided that rather than dipping into emergency reserve funds, we would scale back these programs and return to our core activities with more achievable fundraising goals. 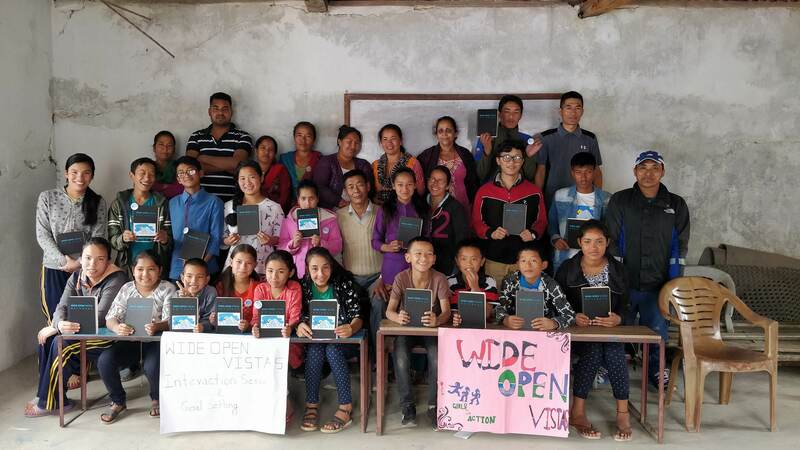 We also decided to focus within the Girls In Action program on high impact/low cost interventions for girls – namely the health education classes in partnership with Sahaayam Nepal. 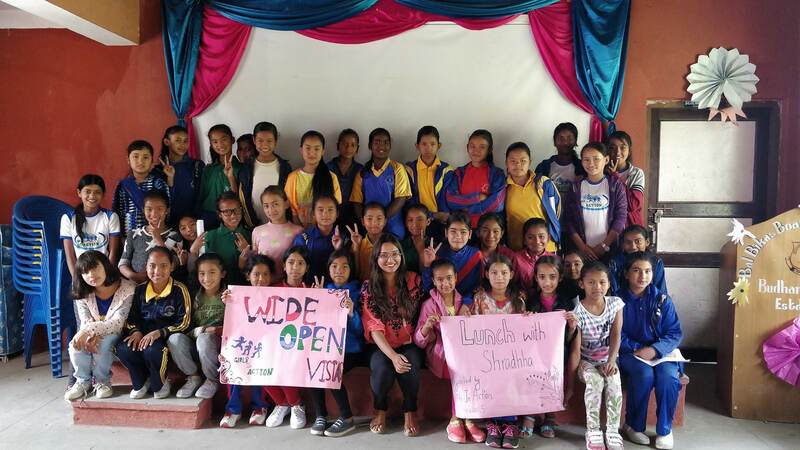 Sudeep continues to serve as Country Director, however at a reduced level and as a volunteer, and Nikita still helps us on an hourly basis with coordinating the Girls Health Classes and also ad-hoc projects. Big thanks to both as we couldn’t deliver these programs without their help. Our annual report is organized by our main program areas: Youth Scholars, Girls in Action, Governance, and Financials/Development. We always encourage participation and value transparency; if something is not clear or you would like more detail, please let us know. If you are unfamiliar with Wide Open Vistas, it might help to know that we are evidence based, small, and are principled in keeping administrative costs low and program impact high. For more information, read how we got started. If you are one of our valued donors, please know that we are sending out letters to any US residents who donated more than $200 USD. If this doesn’t match you, but you would still like documentation – just let us know. Either way, we hope you are interested in reading more about what we accomplished in 2018. Thanks once again to all of our supporters. We try not to bang the drum too much for donations because frankly that gets old. Nor do we engage in showing pictures of hungry children as many other organizations. We are proud that the children we support are happy and healthy and we are doing everything we can to help them stay in school. And we thank you for your donations and support. If you have any questions, please feel free to drop us a line. 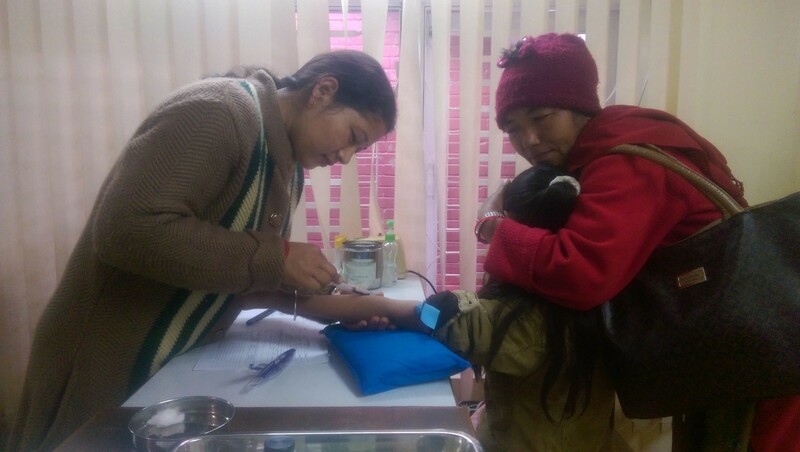 We continued our support of 21 youth scholars throughout the year by paying tuition subsidies ($10 USD per month * 12 months = 120$ paid to school), books and uniform subsidies ($40 USD paid to the matriarch) and also $40 toward a comprehensive health examination in January 2018 at the Nepal International Clinic – an arrangement overseen by our board member Dr. Pranav who has also worked at NIC. Health wise, all of the students are doing well- we have paid a small amount for follow-up care for a couple students, this was paid out of the ad-hoc fund and we left the $1000 medical reserve fund untouched. It belongs in the 2019 annual report, but suffice to say that we just recently did these examinations again and all is well. We also conducted home visits at the start of 2018 and administered a poverty index instrument. We need to do a better job collecting, compiling, and analyzing this data, as well as attendance and grade information so that we can intervene if needed, and also for general quality assessment of our programs and for applying for external funding. We had one of our students join our board, but there was little engagement and no participation in board meetings. Whether this was lack of interest, or poor coordination on our part, needs to be looked into more. One student has graduated high school and we have agreed to provide the equivalent funds ($200) toward an English Language proficiency course. Thank you to all of the people who are sponsoring individual students with the $200 USD package. We have thanked you on the Youth Scholars page and will be in touch with updates from students and also to see if you would like to continue when the sponsorship period ends. Ouch! Vaccination time for one of our youth scholars. 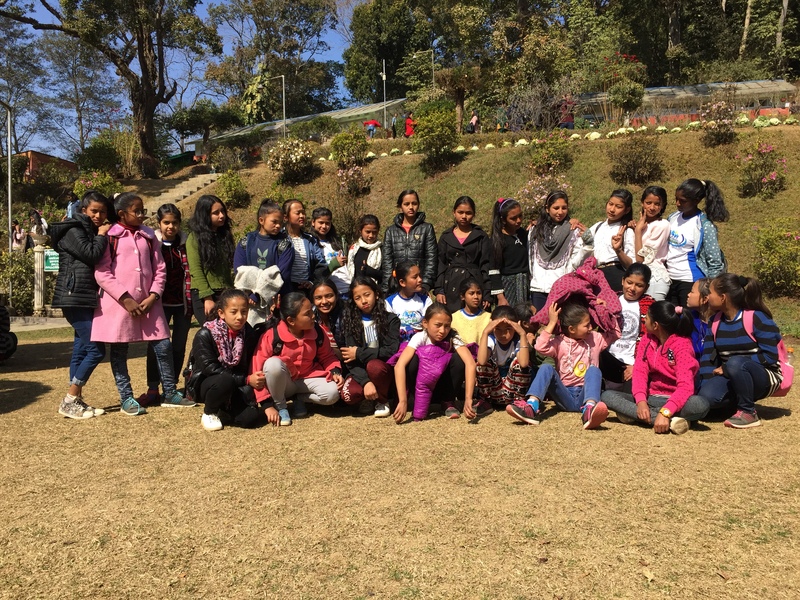 The whole goal of this program is to increase self-efficacy among girls in Kathmandu- starting with the ones in our ‘Youth Scholars’ program, but also reaching out to other girls in the northern Kathmandu Valley. 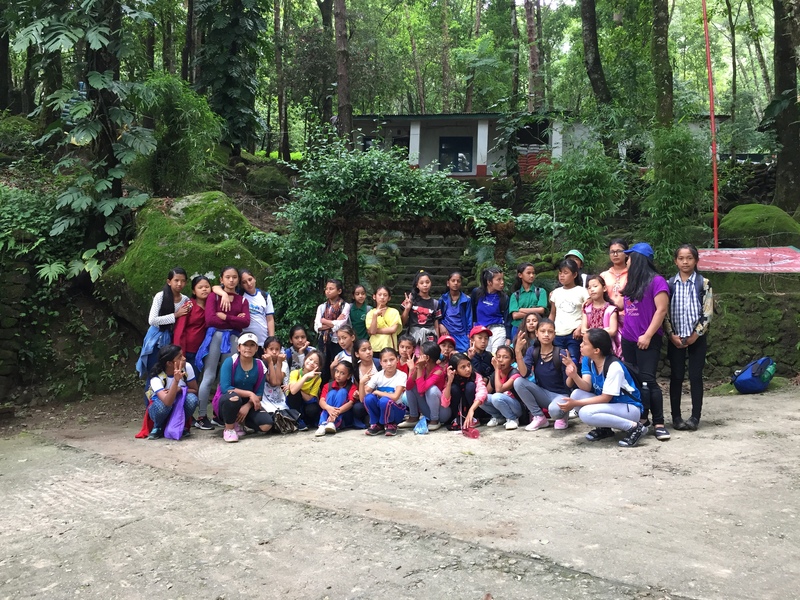 Our GIA program got off to a good start with a short trip to National Botanical Garden situated in the south-east of Kathmandu valley in February. In March- we helped organize a celebration with the girls for the ‘Holi’ festival (the “festival of colors”, which signifies the victory of good over evil and spring’s arrival) with a local Zumba (dance) session by our friend Jayne and one of our guests was Mira Rai who was the National Geographic Adventurer of the year. We also organized a 5k race in the same month, marking the end of 10 weeks of training. In late April we organized a lunch with Shraddha Bhattarai who is a lawyer, educated in India, and working for a local telecom. She is also a Council Member at US Embassy Youth Council Nepal. 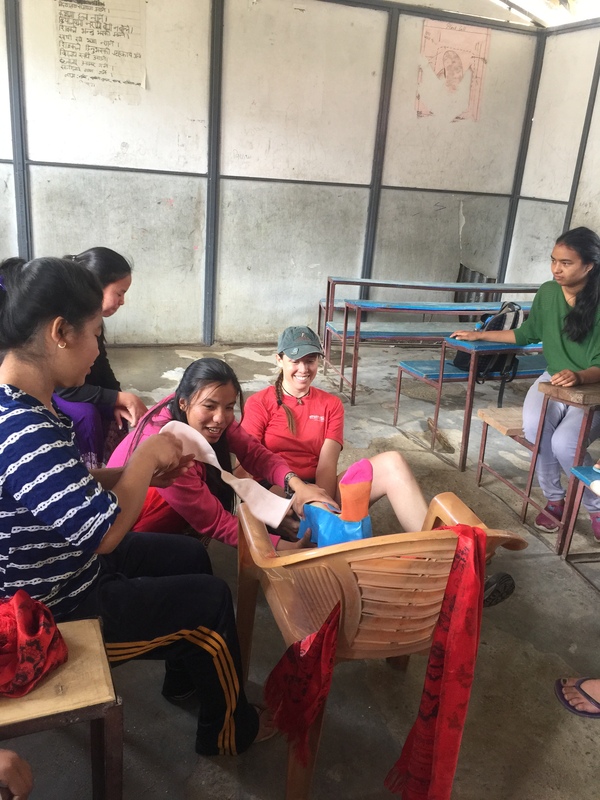 In May, we worked with Dr. Jessie Gehner, an Emergency physician with special training in wilderness medicine to provide first aid training to twenty of our girls. We also held a goal setting exercise with all of the girls and their guardians; trying to help the girls to think about their long range goals and objectives. Each were given a nice notebook to help outline their objectives. 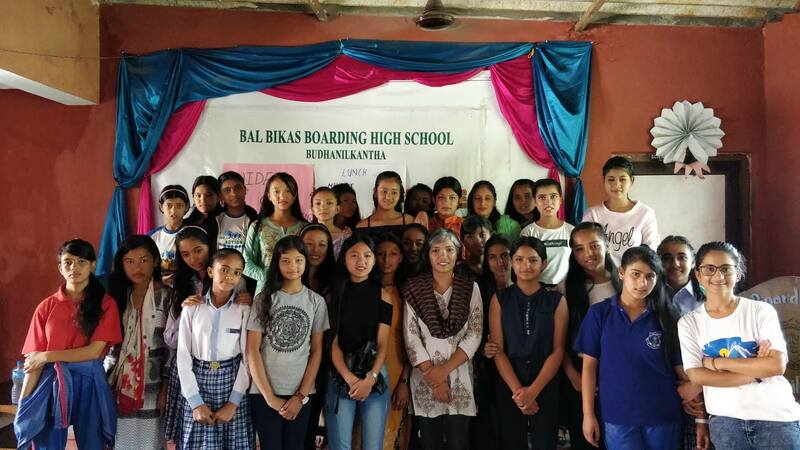 Late May also found us working with Sahaayam Nepal and helping deliver comprehensive health education in Shree Panchakanya and Balbikas boarding schools. We still have a long way to go with vetting this curriculum better and rolling it out to a larger base; however it represents one of our largest areas for delivering a real impact. And in early June – we held another hike – heading up into Shiva Puri National park after meeting members of the Himalayan Adventure Labs Langtang Fastpack. 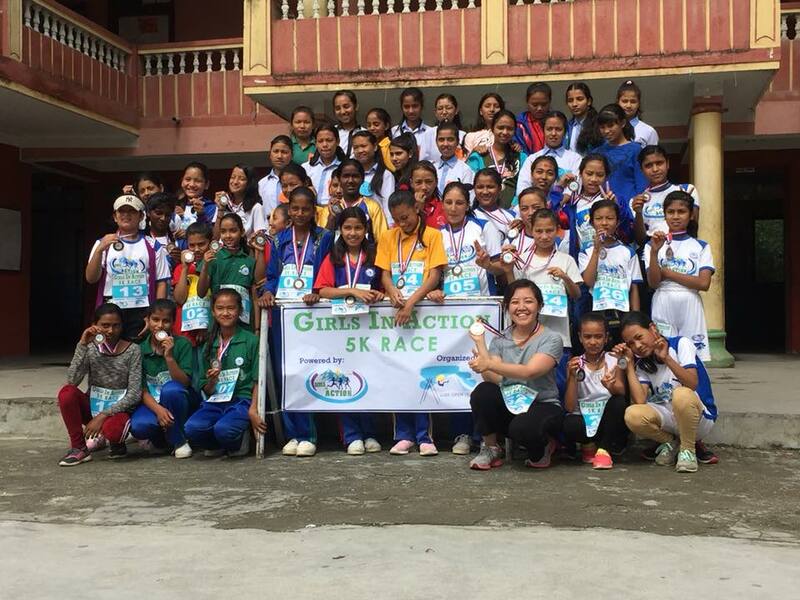 And in late July we organized another 5k race for the cohort of girls who had been training for 10 weeks as well as a second lunch with Manushi Yami Bhattarai – a female politician with some exciting stories to tell about her experiences during the civil war and beyond. We relocated our office from Kalopul, Kathmandu to Pulchowk, Lalitpur; this is in fact a co-working space so that we can keep our administrative costs low. We also clarified board members’ roles: Seth: Budget, US governance. Pranav: Health status and well being for Youth Scholars. Smriti: School and GIA logistics. Avash: Legal affairs Ajay: Youth Scholars Program. Samjhana: Child Protection Officer, health status. Sonam: GIA. Stephanie Gundel who had been acting as our development director resigned to pursue other challenges – thank you Stephanie for all of your work. And Sudeep continued as a Country Director but as a volunteer. Thanks Sudeep. We finished the year with $17,759 over the year. When we look at our expenditures, we spent far less than we budgeted. This is because we did an assessment in our second quarter, realized we were far below our fundraising goals, and decided to adopt a smaller, more sustainable budget. This meant moving the Country Director to a volunteer position and choosing to focus on the Girls Health Education Classes which are higher impact and lower cost compared to the running program. They are also much easier to manage and carry lower risk. Our overall administrative costs are below five percent – with the majority (approximately 2.9%) being consumed by credit card transaction fees as people donate. The country director salary is not included in administrative costs – but it did consume a large amount of our costs and this was one reason that the position was moved to a volunteer level. Below are the funds raised by the quarter. Had we attempted to stick with our original budget and fundraising goals, we would have finished the year $14,482 short of our goal. Instead we scaled back our activities and adopted a smaller budget in July for the remainder of the year, this is also reflected in our 2019 budget which is much closer to the budgets we had prior to the 2015 earthquake when donations suddenly swelled. When we look at projections for 2019, we have a much more feasible fundraising goal of $2,220.27. This is because our program costs have been reduced and we also are reducing the emergency reserve fund from $10,000 to $7,500. As an organization with no active development director, and with little interest in banging a drum constantly for donations, this is a realistic amount. Anything over that we raise – we will allocate to ad-hoc programs that have high value/low cost and that are easy for us to administer. We are also looking into changing our fundraising platform from paypal/crowdrise to something that takes a smaller commission and is easier to work with. Thank you everyone for your donations and help throughout the year!